Hi, readers! 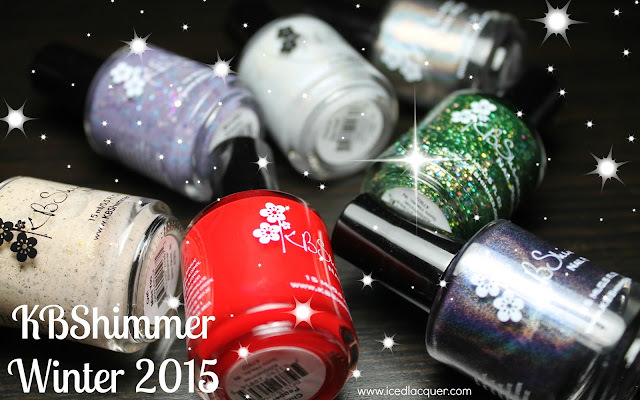 Today I have a new collection from Delush Polish to share with you that will be available starting on May 29th. 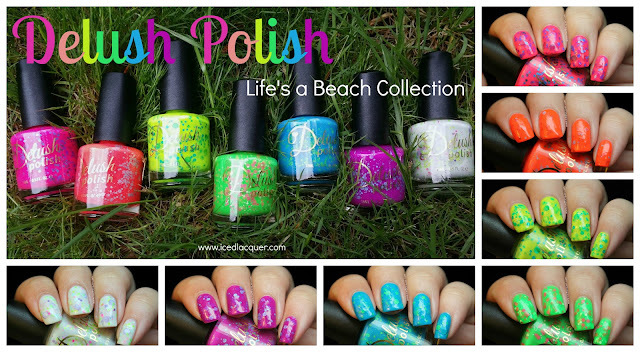 From creator Adrianna's press release "The Life's a Beach Collection reinvents the neon trend with an explosion of captivating color combined with stunning glitter mixes. Delush brings you the perfect beach ready accessory!" Quite a few brands release fabulous neon collections once we get closer to summer, but I have to say I am super impressed with this neon-crelly-glitter-explosion. All seven shades in this collection are super neon and totally unique, with a great formula too! "Babe Watch" - A neon slightly coral pink crelly filled with bright blue hexes and two sizes of bright blue dots. This shade was almost a one-coater, but I used two coats plus top coat. "All Twerk & No Play" - A neon traffic cone orange crelly filled with a few smaller sizes of pale blue hexes. Application was nice and smooth on this one, but I did find that once it dried there were some thinner spots. I used three coats plus top coat. "Cheers Comes the Sun" - A lemony yellow neon crelly filled with several sizes of aqua hexes and large aqua dots. Application and coverage were crazy good with this one considering it's a yellow! I used two coats plus top coat. "Just Take It Breezy" - A neon lime green crelly filled with several sizes of pink and white hexes. 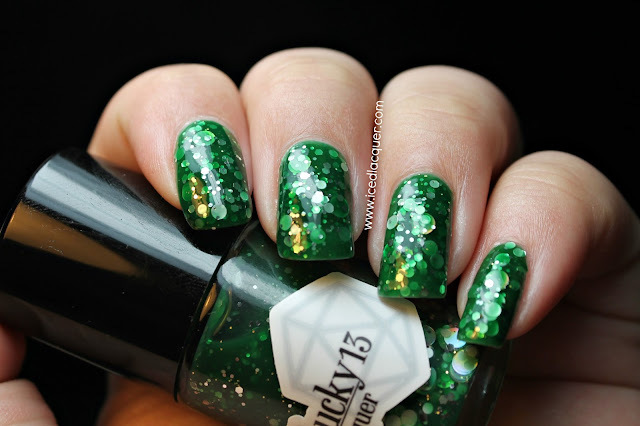 This one shakes things up a bit as it has two shades of glitter rather than just one! I used two easy coats plus top coat. "Turn Over a New Reef" - A sky blue neon crelly filled with several sizes of lime green hexes as well as small lime green squares. The base shade on this one is the most opaque of the bunch and tends to cover up the glitter a bit. That said, I only needed two coats for coverage plus top coat. "Dazed & Enthused" - A magenta-purple neon crelly filled with several sizes of sky blue hexes. The base on this one is the most jelly-like out of all of them and (I think) had the best formula. I used three thin coats plus top coat, but you can see the jelly base really lets the glitter show through. "Hip Hip Vacay!" - A pale cream crelly filled with neon pink hexes, purple hexes and large dots, neon green squares, yellow hexes, and pale blue hexes. I used three coats plus top coat for this one. My opinion: Well you can probably already guess that I'm in love with this collection. Any six or seven piece collection in an assortment of rainbow shades automatically makes me giddy. At the same time, each one is different from the next. 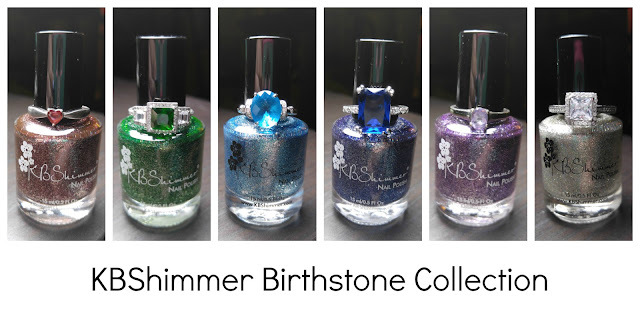 There's a wide variety of glitter colors, sizes, and shapes so it isn't just the same glitter mix in each one. They work as a collection but they don't feel repetitive! As I said at the top, I enjoy that this is a totally different take on the summer neon trend. It's impressive that these are SO neon, but have no problem covering in two to three coats without the need of a white base coat. These do dry down to a somewhat rubbery matte finish, so top coat is essential to smooth things out. So yeah! If you love neons I'm betting you will absolutely love these! Don't forget that you can also earn rewards points with every Delush Polish purchase, which you can save up to use on future purchases. All Twerk & No Play is cute, and the name is so perfect! I love Dazed & Enthused as well. Great purple. The blue,pink,purple are my must haves! They are so amazing and I adore circle glitter. I keep adding them into my cart but I'm trying to be good.